Twice through the course of the 20th century New Zealand helped liberate France from the clutches of the Germans, but in 1974 when we protested their nuclear testing in the Southern Pacific (41 atmospheric and 140 underground tests) all hell broke loose. What followed was a long and protracted struggle for justice as a small nation with scant political recourse stood resolute against a major world power that was indifferent to our concerns about its activities in our backyard. The French military used physical violence against some of the many Kiwis who sailed up to Moruroa Atoll to make a stand at the nuclear testing site. They added financial pressure as they tried to block our trade access to the EU, and then in 1985 they committed an act of state sanctioned terrorism in Auckland, resulting in one death and the destruction of the Greenpeace anti-nuclear protest vessel, The Rainbow Warrior. I have only one thing to say about those times and the French and it ain’t nice. The Swede’s have a similar attitude, if thriller Midnight Sun is anything to go by, but perhaps this is just wishful thinking on my part. Numerous internet searches failed to reveal any kind of dodgy dealings between the two nations. (Excepting perhaps the Swedish-Franco war of 1805-10. A testament to the French penchant for duplicity, the war was a disaster for Sweden). Still, in Midnight Sun the French are definitely the bad guys, and deliciously so. They’re the kind of bad guys you want to see suffer horribly for the wrong they have done… and on that subject I will say no more. Anyhow, it goes like this. 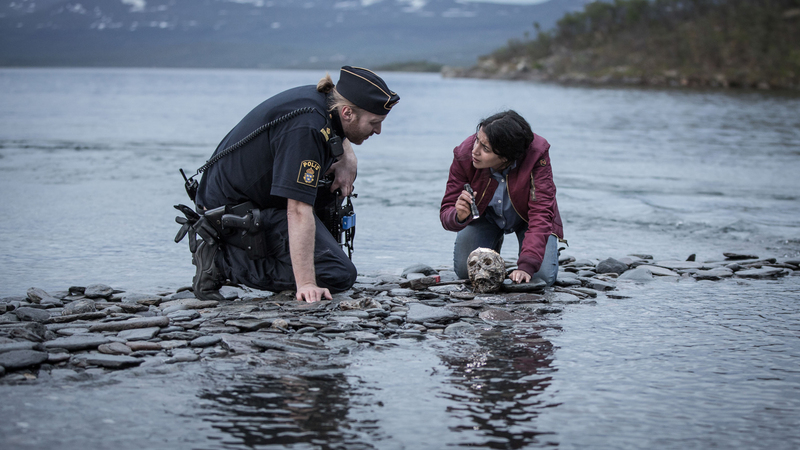 Troubled French/Algerian/Berber Detective Kahina Zadi (Leïla Bekhti) is sent to Swedish Lapland to investigate the bizarre murder of a French national. 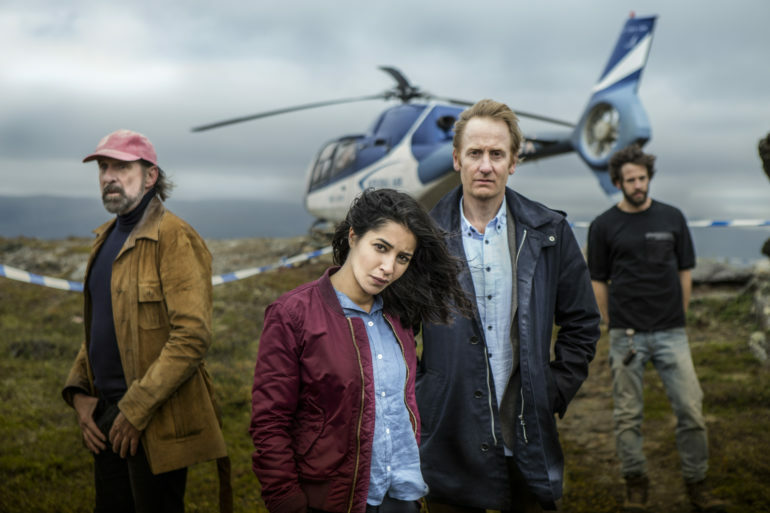 She teams up with local investigator and half-Sami, Anders Harnesk (Gustaf Hammarsten) and together they discover a conspiracy of epic proportions – courtesy of the French government. They also bond over their shared outsider racial status. The action is centred on the Kiruna mine (the world’s largest underground source of iron ore) and the series takes its name from the Lapland summer, a season of continuous daylight. Background to the investigation is the beautiful sub-arctic landscape and the local Lapp people. The Sami (indigenous to a region called Sapmi that traverses northern Norway, Finland, Sweden and Russia) are a racial minority who are subject to all manner of injustice, exploitation and prejudice, a fact which shines a less than flattering light on a nation otherwise known for its enlightened, inclusive and progressive ways. 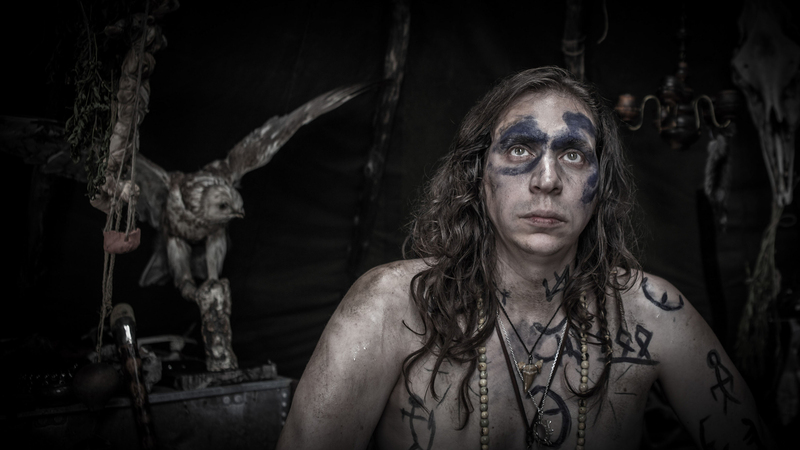 There are numerous Sami sub-plots including some shamanistic hocus pocus that may or may not be a little overdone depending on tastes. This production was a big deal for the Sami community who saw the series as an opportunity to showcase their cause – one that Maori, American Indians and Australian Aborigines would easily identify with. The cast features Belgium actor Oliver Gourmet as a deliriously odious French secret agent determined that the ‘big secret’ at the heart of the conspiracy stay that way. Gourmet first came to prominence through his frenetic performance in 2002 Belgium film The Son, for which he received the ‘Best Actor’ award at Cannes 2002. Gourmet is good value for money and he does not disappoint here. Nordic go-to guy Peter Stormare (Fargo – the film, The Big Lebowski, Seinfeld, American Gods) appears briefly as good guy Swedish police prosecutor Burlin, or is he? Regardless, he always adds a touch of class to anything he is involved with. Among the Sami cast is the talented and accomplished Maxida Marak who also sings the theme. The style is based on a traditional Sami song method called Joik. From the people that gave us that very fine series The Bridge (Bron), Midnight Sun is a languid and detailed thriller with numerous and compelling sub-plots dressed with some enlightening social commentary, all of which makes for an informative and heady viewing experience. There may be a second season and yes, the French make excellent baddies (but I already knew that).